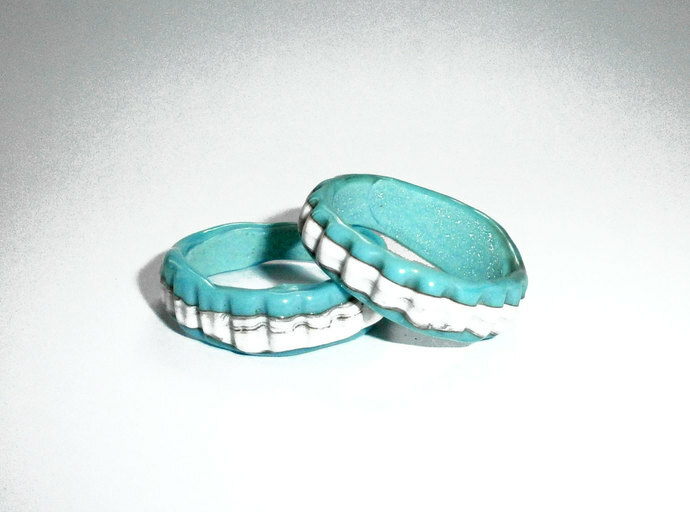 Here are a pair of my Turquoise Glass Slider Hoops. 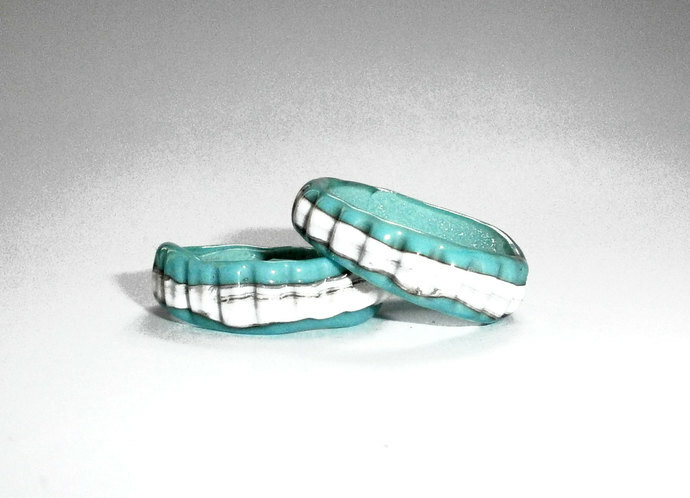 They are made with Light Turquoise Glass which has been lightly heated just enough to shape without getting too grungy and my new favorite Ivory, also worked cool so is almost white with grey streaks and lines. 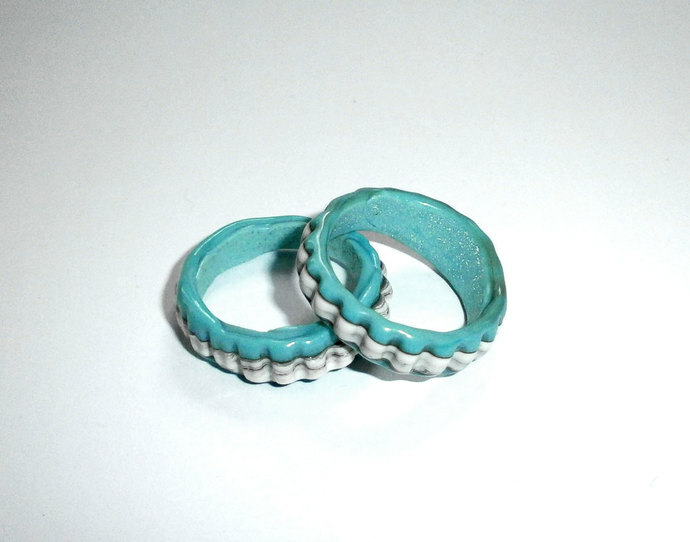 I had fun making this pair and added corrugations for a textured effect. 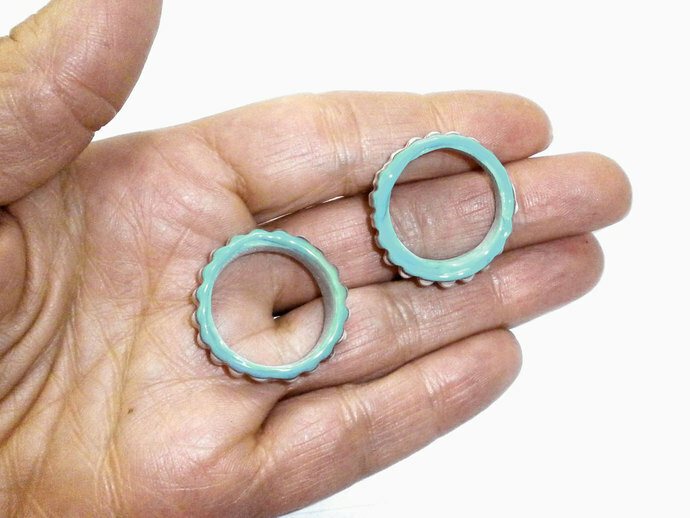 This listing is just for the pair of organic hoops you will need to add attachments to make them into earrings. PLEASE NOTE: I do not use molds so these beads are organic and irregular in shape and construction. 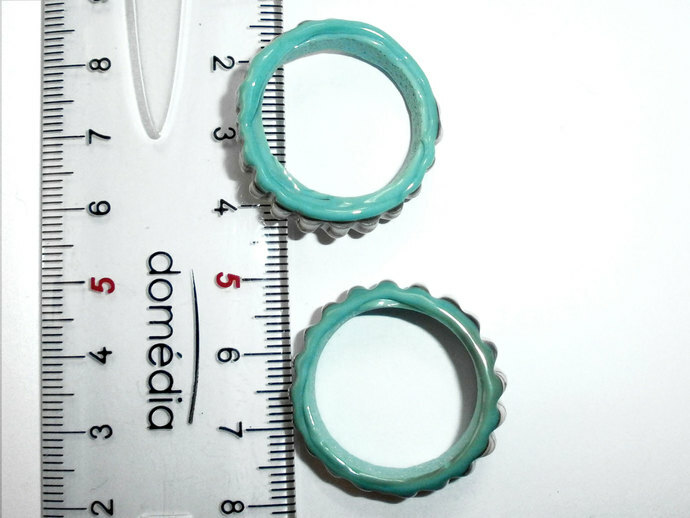 Bead size measured from hole to hole: The Hoops vary between 8mm at their thickest and 5mm at their thinnest; The internal diameter is 20mm and external 26mm at the widest point. I used Effetre Glass in these beads.